Like a small stained-glass window, this beautiful butterfly was illuminated by the sun shining both on and through its wings, revealing their structure. Colored pencil on Stonehenge paper. 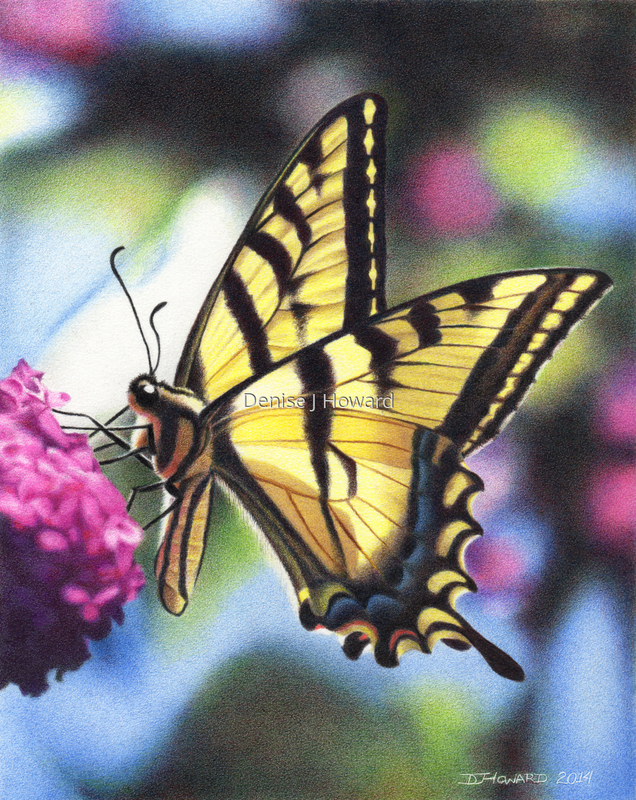 This piece was the basis for "Tiger Swallowtail In-Depth Kit" from Ann Kullberg, 2014.